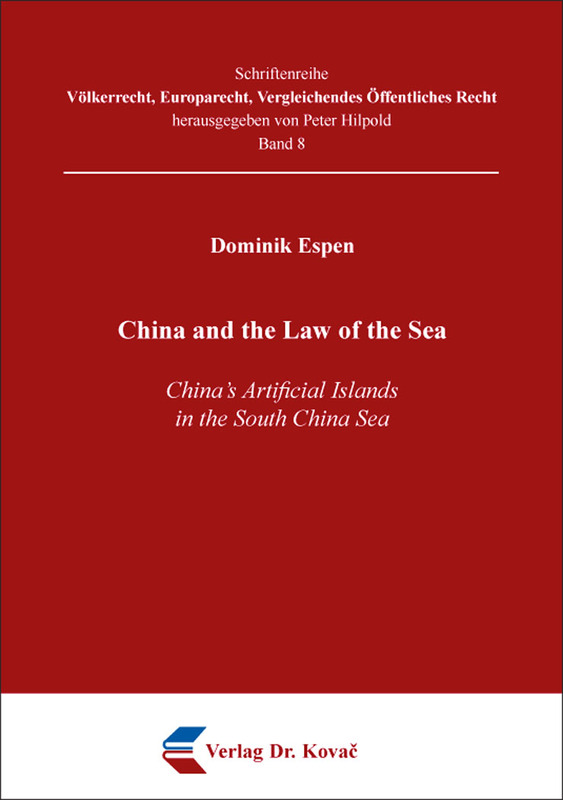 China and the Law of the Sea. Forschungsarbeit von Dominik Espen, Verlag Dr. Kovač 2019, 208 S.
How much do you have to artificially alter an island until it changes into an artificial island? What is an artificial island after all? When is an island an island and not just a rock? When is high tide really high tide? What is a human habitation or what is an economic life? What is an area of land? What sound like philosophical questions are actually immensely important legal questions affecting Trillions of Dollars in world trade, crude oil and fishery resources. The recent power struggle in the South China Sea provides great opportunities to find new answers to these old questions. But to unravel the dispute it is also necessary to examine the legal and historical arguments on sovereignty issues in the region and to answer the most important question of who owns the islands in the South China Sea.